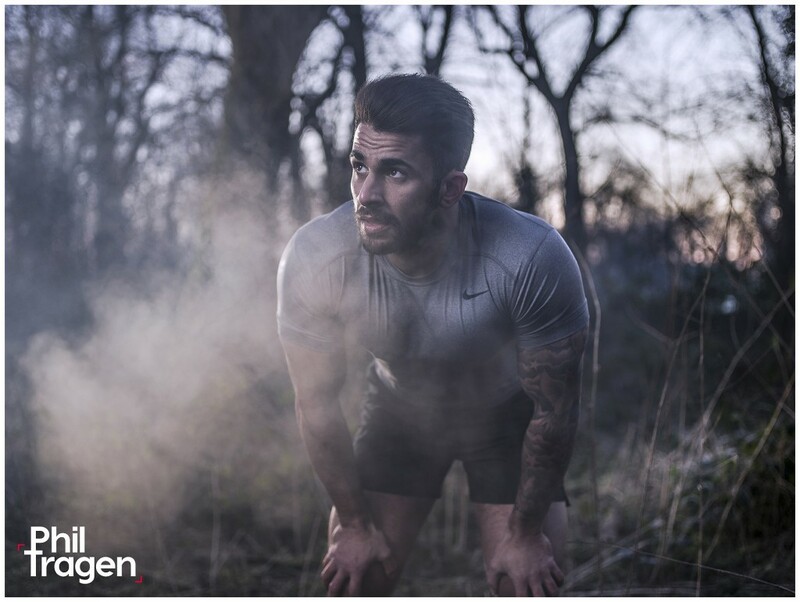 A shoot with personal trainer Aaron Caton in the early morning mist. To get that sense of urgency in his expression Aaron would sprint a hundred or so metres away from the mark and back to get his heart going. 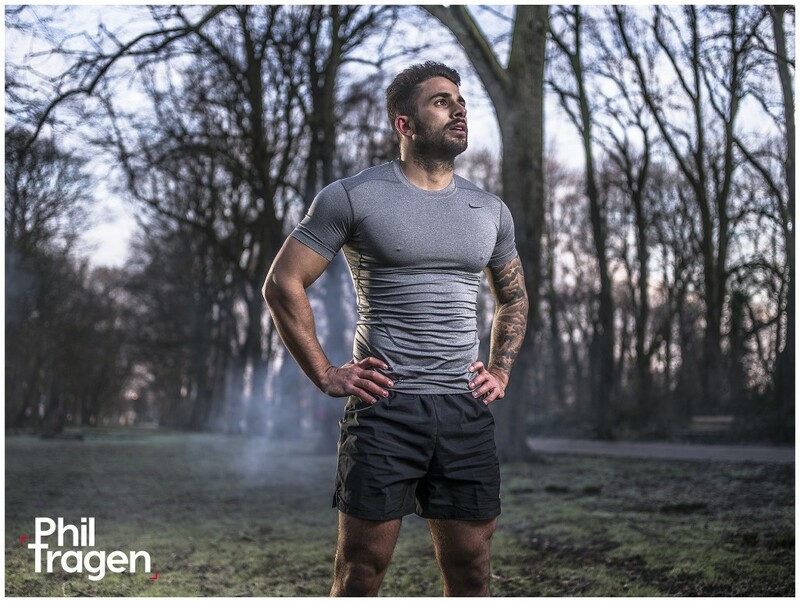 The shoot was more or less an interval training session for him, but with gelled lights and a squatting photographer. A Mini-Mist provided a little background haze. These pictures are also on Instagram @philtragenphoto.